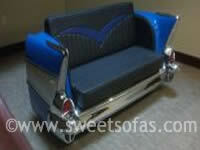 Classic Couches is the market leader in all forms of Chevrolet Car Furniture. 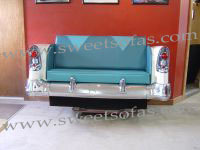 Chevy is one of our most popular makes to build furniture, from car parts. 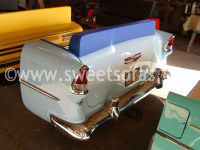 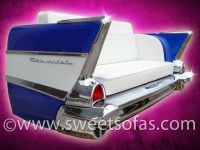 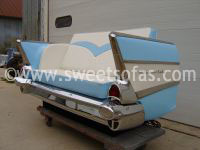 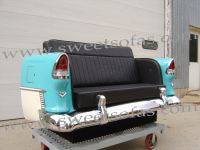 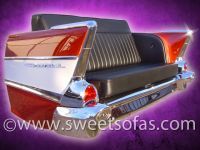 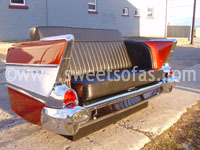 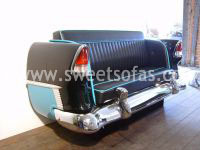 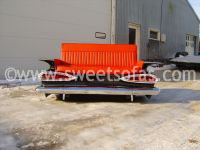 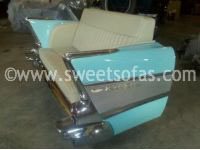 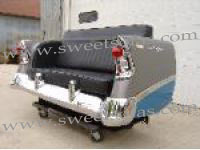 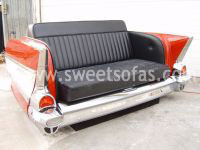 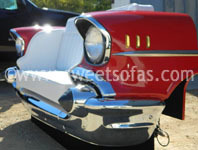 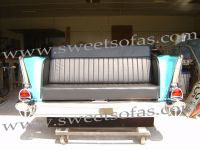 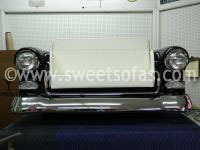 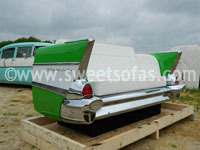 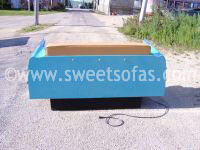 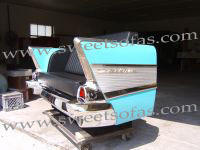 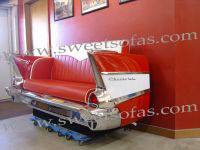 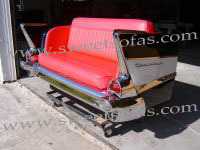 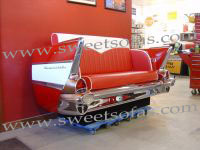 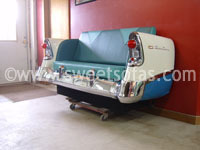 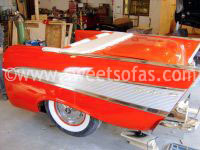 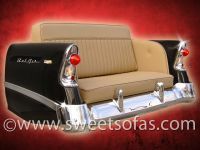 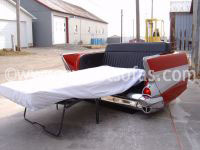 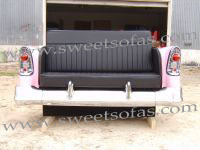 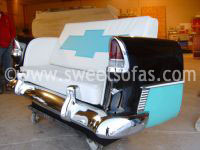 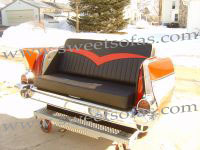 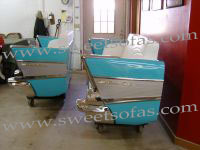 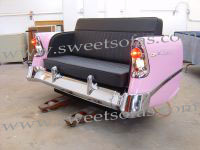 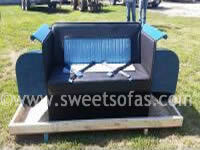 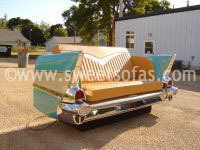 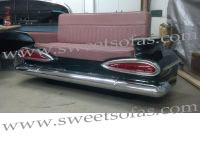 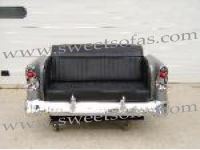 The 1957 Chevrolet Car Couch has been the most popular item by volume since the 1980's. 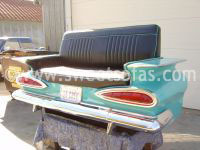 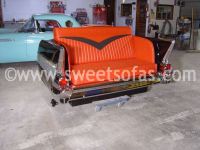 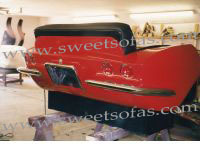 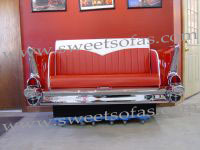 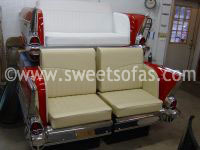 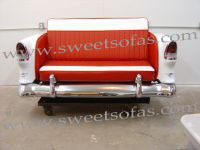 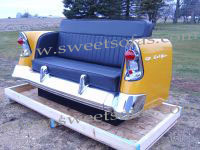 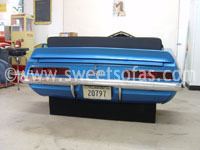 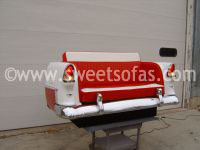 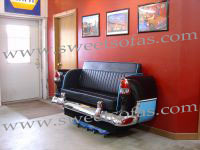 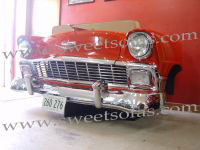 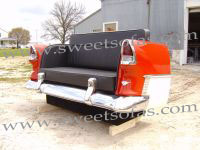 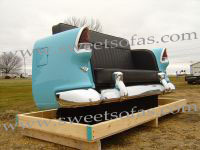 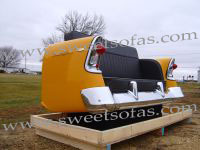 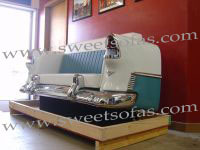 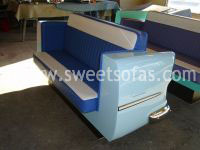 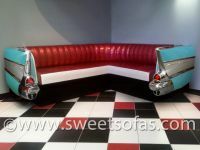 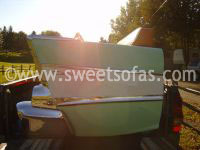 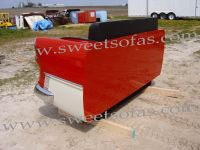 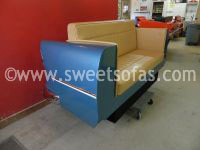 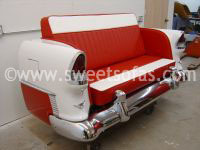 Classic Couches designs and builds furniture from real Chevrolet cars, not reproductions. 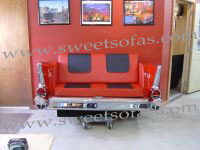 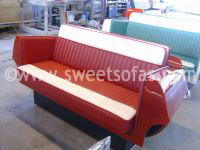 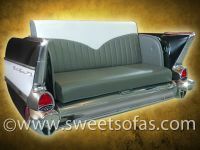 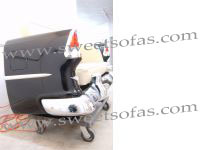 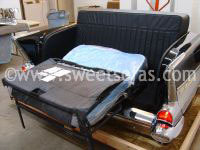 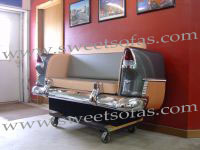 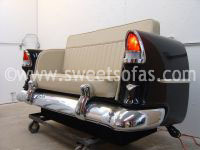 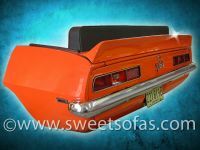 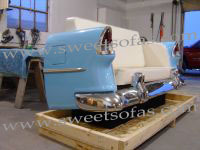 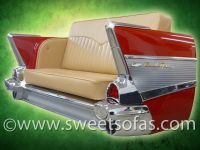 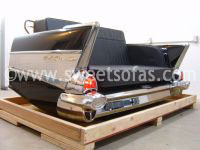 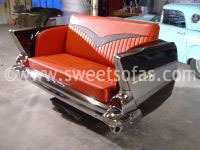 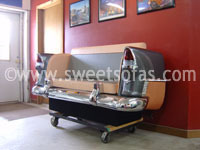 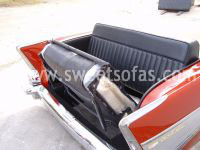 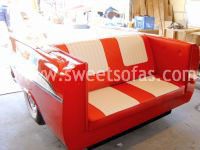 Sweet Sofas has built sooo many pieces of Car Funtiture over the years we have sorted our car couches by make so you can pick your favorite model. 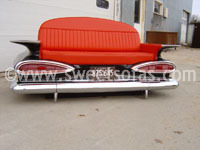 Please choose from the list below. 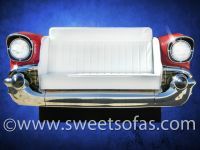 We can design all types of car furniture, including; Chevrolet Couches, Chevrolet bars, Chevrolet Point of Purchase or Reception Stands, Chevrolet Office Desks, Chevrolet Wall Art, and so much more! 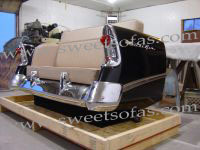 Chevrolet models including; Camaro, Nova, Bel Air, 150, 210, Corvette, C10, Impala, and so many more make a great platform to start a project building furniture from those original car parts. 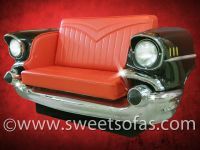 We have specialized designs for furniture in your Diner, Man Cave, Museum, and anywhere a special automotive furniture project is needed. 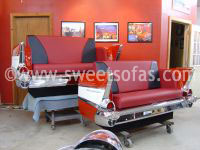 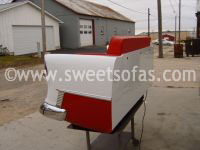 Contact us today at (815) 684-5310 or information@sweetsofas.com to learn more about our projects!